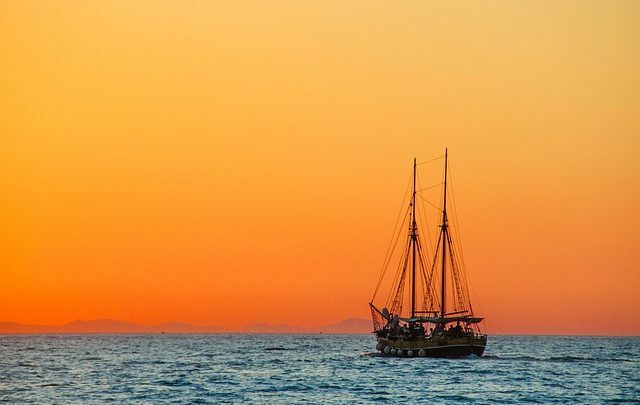 Like the captain of a ship navigating the seas trying to reach their destination, every small business owner has the same responsibility and must steer their business towards growth and profitability. Without maps, compasses, knowledge, focus and other navigational tools, the captain will most likely end up hitting rocks, misjudge the sea bottom and may end up falling behind schedule. They may even up sinking the ship! Small business owners also need guidance, advice, resources, accountability, support, and tools to navigate the stormy seas of growing a small business. However, most importantly, they need to adopt the right mindset and develop the right behaviors that will help then be a great leader and guide their team towards success. The sad truth is, most business owners will never end up building a profitable and sustainable business and it has nothing to do with the idea behind the business. As the captain of your ship, you have the ultimate responsibility of choosing success. While developing our growth program – SLAP, the Silver Lining Action Plan – we conducted years of research in behavior change science, and we know that the challenges around changing one’s behavior are massive. To get you on the right track, we’ve broken down the seven pillars of behavior change science for you. Hopefully, the information below can give you insight and help you better navigate the seas and steer clear of developing storms. At the start of every journey, a commitment to reach your destination is crucial. If at any point during the trip, you realize that you cannot bring you and your team safely across, you must start exploring alternatives ways to get there. A lack of commitment will only lead you back down the path you were trying to avoid in the first place. You would never repeatedly hit the same rock with your ship; you would learn, adapt and change course. The same principles apply to growing your business! Committing to improving your current mindset and adopting the right behaviors is the first step in embracing change. Getting to your destination is only half of the equation; you can decide whether the journey is a peaceful or perilous one by adopting fundamental changes that will guide you along the way. Now that you know there is a need to change course and you are committed to doing so, you need to set new goals for yourself. You should not set unrealistic goals, setting you up for failure. Instead, start by setting up modest, realistic and attainable goals and break them down in digestible chunks. It doesn’t mean that you should set your goals too low either. Doing so would only result in insignificant changes, and you might end up simply treading water. We know that it is difficult for some of us more than others to stick to our goals, that is normal! To help you stay focused, grounded in reality and make sure you don’t completely go off course, you need to track your behavior. Captains use maps to get a birds eye view of where they are at any giving time. Small business owners need to do the same using tracking tools. Tracking your behavior is like your GPS. You continuously have to consult your map and change your course if the coordinate are wrong. It give you an instant gut check on your current reality and help guide you back if you’ve happened to take a wrong turn along the way. Over time, rigorously tracking your behavior will help you build self-efficacy. You will start to trust the process as you start hitting your goals more often than not. Every leg of the journey, every milestone you reach will boost your confidence and make you trust your decisions. Imagine setting monthly sales goals and hitting them every month because you are continuously doing the right things to get you there. It makes the end goal a lot less scary and a lot easier to achieve. Challenging the status quo is extremely important when something is not working. Not only will you perhaps discover new shortcuts and calmer seas along the way, but, most importantly, you will learn a lot about how you are directly contributing to the situation. The same as every captain needs a great XO to help them strategize, steer clear of obstacles and help them stay on course; every small business owners needs a coach, an accountability partner and support! You do not have to do it all alone. Undertaking long-term growth cannot be a one-person job. Asking for help when you need it is not a sign of weakness but just the opposite — having someone to share their experience and knowledge with you will ultimately take you a step closer to your end goal. There are as many captains out there as there are small business owners! Turning to others who are going through the same challenges as you will help normalize your situation. They may even warn you of upcoming obstacles! The simple fact of knowing that you are not the only one trying to grow your business will provide you with the right support structure to overcome common challenges. These peoples can stop you from turning back on a course to nowhere. You are not alone, and the obstacles you face are most likely similar if not the same! Finally, all of the principles states above will instill new habits that will set you up for success. You can build a profitable and sustainable business. Old habits are hard to break and it takes time! The role of behavior change science is to help you reclaim your time and money by developing the right habits and mindset so you can focus on doing the thing you love, for captains, it’s their love of being at sea. For small business owners, it’s doing what they love, which is why they started their business in the first place. Without these fundamental behavior change pillars, any changes you make to improve your performance will result in frustration, deception and in the end, everyone abandoning ship. If you do not pay attention to your behavior, your performance and results will be unpredictable and you might end up on the other side of the world. If you don’t like the results you are generating, change your actions! The formula for success lies within you and your willingness to change your own behavior. There is a basic formula to success! Take full ownership of your destiny. You are the captain of your ship. Take action now and reach your destination. Carissa Reiniger is the Founder & CEO of Silver Lining Ltd. She started Silver Lining in 2005 and created the Silver Lining Action Plan – SLAP! – a methodology that has helped over 10,000 small business owners in 9 countries set – and hit – their growth goals. She incorporated all of the principles of behavior change science into one comprehensive business growth program to help bring out the best out of you and lead your business towards profitability and success. As part of her mission to help more small business owners make money doing what they love because she genuinely believes that we CAN change the economy one small business at a time.